Transitioning to college life is never easy, especially when you’re moving halfway across the country. 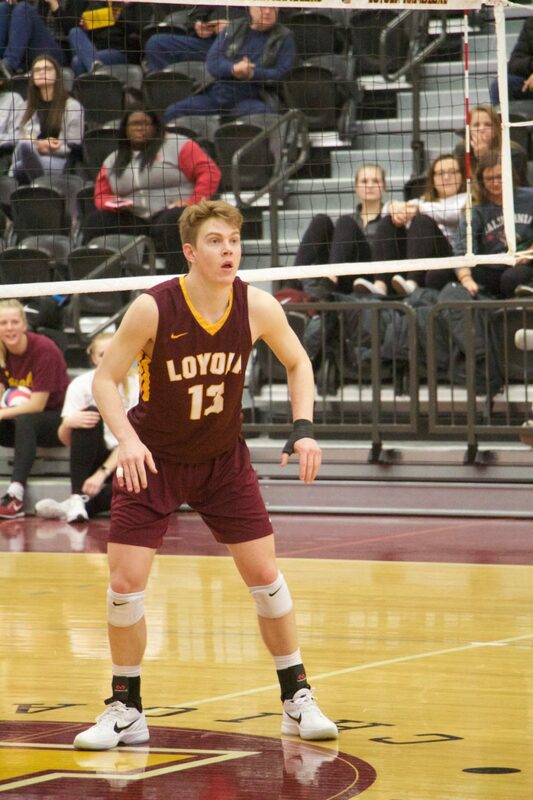 But first-year setter Garrett Zolg has made his mark on the Loyola men’s volleyball team (4-2) so far this season after coming to Loyola from Santa Ana, California. Zolg, 19, who made his college debut against Brigham Young University Jan. 5, recorded 46 assists and 13 digs during the match. During his second career match against University of California, Irvine, he recorded another 40 assists and 13 digs. This start earned him Midwest Intercollegiate Volleyball Association (MIVA) Defensive Player of the Week. He said he couldn’t earn the honor without help. 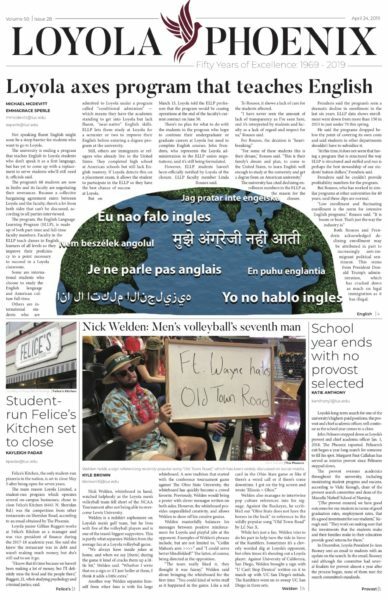 Playing soccer from kindergarten until eighth grade, Zolg said he found himself worn out and sick of the sport he once loved. In eighth grade, he decided to try out for the school’s volleyball team. 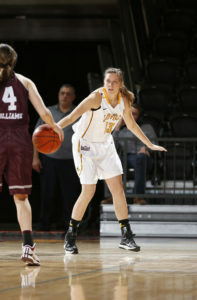 Zolg’s playing style is different from other players, according to head coach Mark Hulse. Hulse said he plays a faster paced game and has adjusted to quicker transitions than some of his teammates and competitors. Junior outside hitter Collin Mahan said Zolg is a good addition to the team and he believes Zolg will make an impact on the program. Hulse said Zolg has a determination about him not a lot of players have and he has a passion about the game that rubs off onto his teammates on the court. Zolg said while the coaching staff has helped him with his transition to collegiate volleyball, his teammates have also played a role. Mahan said he knows the adjustment to classes and college volleyball can be difficult and so he said he’s been helping Zolg and the other two first-years adjust. Both Mahan and Hulse said Zolg has been playing well so far. Mahan said Zolg has high expectations of himself and he’s done a good job, especially as a first-year. Zolg said he’s enjoyed the season so far and is looking forward to playing The Ohio State University and traveling with the team. Zolg and the Ramblers are scheduled to continue their nine-game homestand against University of California, Santa Barbara Jan. 25 and California State University, Northridge Jan. 27 at Gentile Arena.